Tools are supposedly what distinguishes man from the animal kingdom; only man makes and uses them. The first tool was certainly no more than a stone or stick picked up from the ground and used to crush or poke at some other object. But early man soon got much more clever. Stone Age men may have used stone tools but not just any old stone he found lying around. Ancient man would travel many miles to find just the right piece of flint and take it to a skilled flint knapper who would carefully and skilfully turn the greenish grey stone into a variety of specialist shapes be it a knife blade, an axe or an arrow head. Ever since those very ancient times man has persisted in making tools, and each epoch of history has seen better ones emerge. The Bronze Age which followed the Stone Age, produced many more hand tools with which to craft not only goods but also other, even more sophisticated tools than simply knives, spear points and hammers. It was through the Iron Age and the Industrial Revolution, which it eventually gave birth to, which saw the full flowering of the toolmaking culture, and nowhere on Earth did that flower bloom more brightly than in England and in Sheffield in particular. 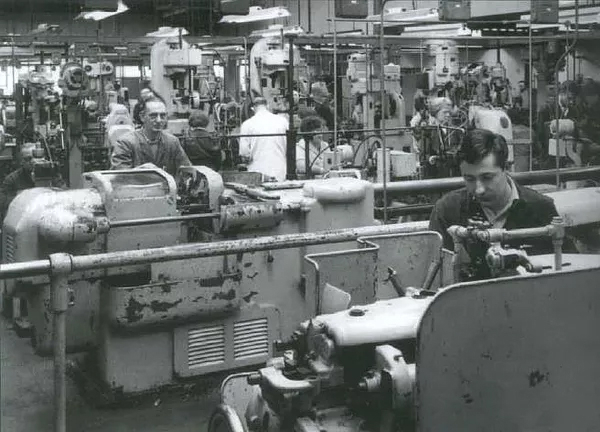 When in 1997 the Kennametal Company acquired the Easterbrook Allcard 'Presto' engineering business based in Sheffield's Penistone Road the new owners brought with them a novel culture of 'focused factories', global control and a huge amount of manufacturing expertise and resources. What Kennametal acquired in exchange was a part of Sheffield's proud industrial heritage and a firm whose roots go back to the early years of Queen Victoria's reign. Above: A product brochure for Easterbrook, Allcard & Co Ltd dated 1900. Below: The firm's Albert Works prior to 1900. In the late 18th century the Yorkshire born instrument maker Jesse Ramsden had perfected the modern screw-cutting lathe, and the precision engineering industry had arrived. For the first time metal objects could be made to precise dimensions, no longer roughly smoothed to fit with a file but cut to within a few thousandth of an inch. Applications, which had previously been impossible such as perfectly fitting moving parts, now became possible. Being an engineer had become the trade to be in; a new, young, dynamic industry, which everyone said, would provide a job, a good well paid job, for life for those young men lucky enough to get themselves the right training. In 1843 a young Sheffield mechanic named John Easterbrook began working for himself. By 1852 he had entered into a partnership and traded as the firm of Easterbrook & Scatchard working as toolmakers and machinists in Suffolk Road. 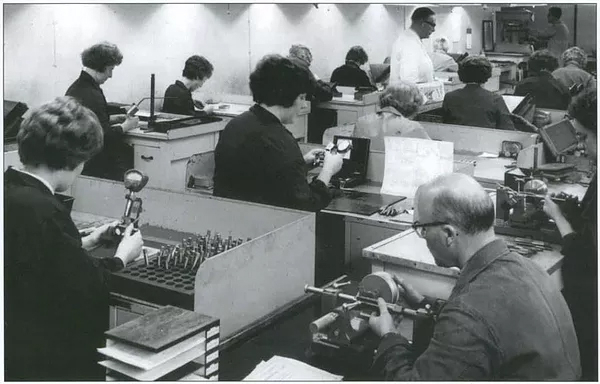 Two years later the firm was known as Easterbrook, Scatchard & Drury, and at its Albert Works in Suffolk Road was making ratchet braces, hammers, spanners, screw stocks, taps and dies, lathes and all kinds of tools made to order. 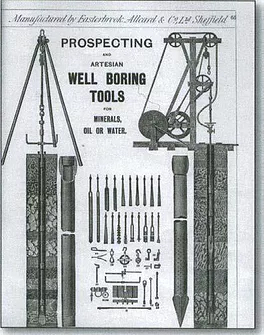 Above: A page from one of the firm's early brochures showing some of the prospecting and well-boring tools they manufactured. Around 1858 the name changed yet again to Easterbrook and Allcard with premises in both Leadmill Road as well as Suffolk Road. In the following years the business expanded its range of products significantly, not least into making railway tools in addition to existing markets. 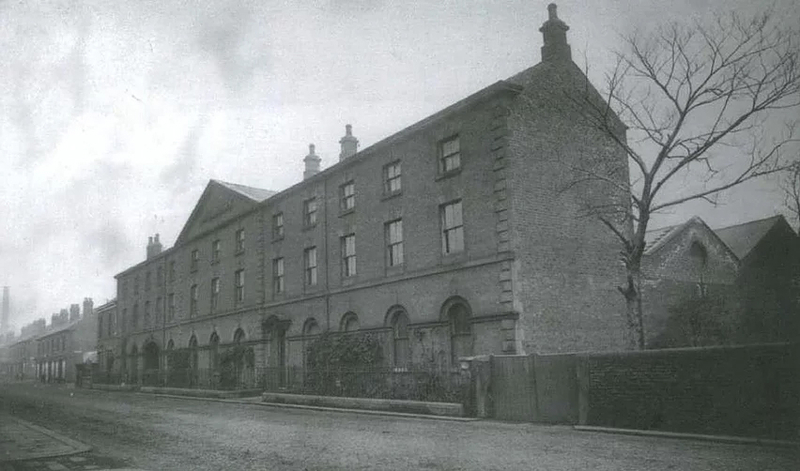 The business moved to its present location, a new Albert Works, in Penistone Road in 1869. Founder John Easterbrook now drops out of the story and the business baton passed exclusively to his partner James Allcard. When Allcard died in 1887 his devoted employees hired top hats and other regalia to attend the funeral so great was their respect for him. The business became a limited company Easterbrook Allcard & Co Ltd in October 1897 with Harry Allcard, James Allcard's son, becoming chairman. By the time of James Allcard's death the once small enterprise had become a substantial concern with fine offices, a number of turning shops, an erecting shop and a number of smithies. Contracts for the firm's output had been obtained from such prominent clients as the British Admiralty, the War Office, the India Office, railways both at home and abroad, and even the German Navy was buying Easterbrook Allcard tools. And what tools. Made for engineers, boiler makers, smiths, ship builders and plate layers the range of tools now produced was truly astonishing. 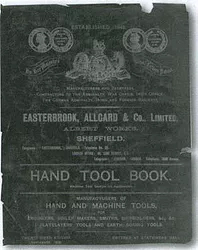 The firm's 26th catalogue published in 1900 lists around 200 different hand tools being offered for sale in addition to the company's machine tools. Most of the tools are still readily familiar to both professionals and DIY enthusiasts alike, but sets of stocks and dies regrettably no longer come fitted into oak cases. No trade it seems could complain that it was not being fully catered for: engineers could choose from no fewer than 12 different kinds of hammers, boiler makers 13 and stone miners and quarry workers no less than 24,not forgetting seven different sledge hammers and more than 30 other assorted picks, spikes and crow bars. Below: The firm’s premises on Penistone Road pictured in 1963. Jacks, clamps and vices, spanners, borers and drills; the list seems endless. Want to bend a length of railway line? No problem at all if you had £34 to spare, the company would happily provide you with a portable machine which ran on the railway track which would easily do the job; and for just a few more pounds extra the machine would even drill holes in the rail for you too. The Presto trademark made its first appearance in 1907 followed in 1911 by the Greyhound trademark, later registered as 'Two Dogs'. The forecourt of the Albert Works was sold to Sheffield Corporation in 1912 in order to widen Penistone Road, the proceeds going to erecting a new grinding shop and in 1914 to building a river wall. In the midst of the First World War, the house adjoining the works, subsequently used as a caretaker's house and warehouse, was bought. A works canteen was built too. The company also purchased land at the comer of Penistone Road and Hobson Avenue adjoining the works, which would later be used as a garage. New investment followed the ending of the Great War in 1918 with electric lighting replacing gas in new workshops, and electric motors making their first appearance two years later. Harry Allcard died in 1931, still Chairman and Managing Director at the time of his death. Mr H Amison would take his place only to die himself in 1935 and be replaced by Mr WG Simpson who would lead the company through the Second World War. In 1941 at the request of the Ministry of Supply dispersal factory was acquired in Derbyshire so that vitally important plant, essential for war production could be more safely housed away from enemy air raids. 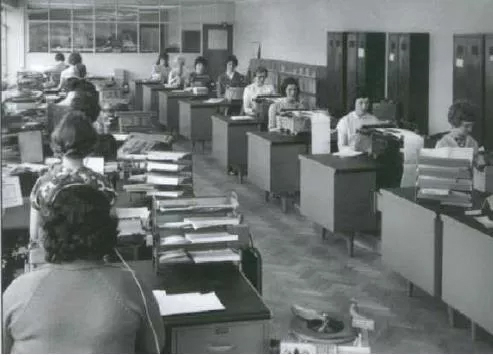 A strong room was erected at the Albert Works and in 1942 additional air raid shelters were constructed - hardly a problem for the company whose contracts with the Ministry of Supply included the manufacture of air raid shelters. Not that such war work was profitable - the government levied an excess profit tax or 'EPT' on such work at the rate of 100 per cent! Post war a new two storey workshop was erected and eight dwelling houses numbers 3-17 Hobson Avenue, and the freehold of the land on which they were built, were acquired. Below: The firm’s new administration block completed in December 1961. WG Simpson who had been Chairman and Managing Director since 1935 died in February 1953 and JW Inger and JS Allcard were appointed as Joint Managing Directors with the former also being appointed as Chairman. Changes were the order of the day: land bounded by Penistone Road, Hobson Avenue and Hobson Place was fenced off to form a car park, a new two storey workshop was erected, a popular staff pension scheme was inaugurated but the private brewing of tea was discontinued. Staff went on strike for two weeks in protest at being no longer able to have a brew up whenever they wished. At least if staff did get to have a drink they could use the new toilet facilities built in 1956 and keep warm while they did so when the central heating system was extended. During these years premises would also be acquired in Birmingham and Manchester. In 1957 a house at 451 Penistone Road was bought to re-house the tenant at 236 Penistone Road which was now used to increase warehouse space; two years later a three storey warehouse was built on the corner of Anlaby Street and Penistone Road followed by two more buildings of a similar size the next year. The 1960s was to be a decade characterised by even more building works: a new workshop being built at the river end of Anlaby Street when the old steel warehouse was demolished. Below: Tap final inspection, circa 1970. The end of the decade was marked firstly by the election of HE McGee as Chairman of the Board having previously been Joint Managing Director since 1962, he now followed JW Inger as Chairman. The second major event at the end of the 1960s was a serious fire, which occurred in, the twist drill flute grinding department on 18th November 1969. All the plant in the department was put out of action and the roof of the building destroyed. Tremendous efforts by staff saw the roof repaired within 13 days and replacement machinery sourced from all over the world. JW Inger died in 1970 a year, which saw the retirement of company secretary HD Dobson after more than 21 years with the firm. A younger member of the McGee family, John Edward McGee, now became a Director of the firm. 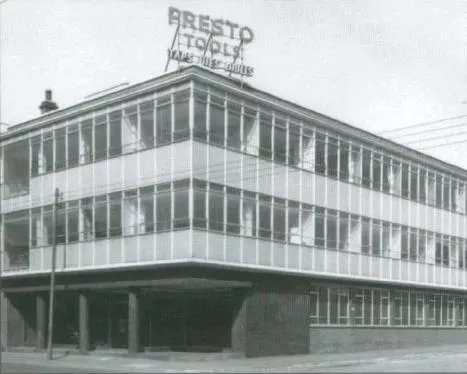 By the mid 1970S the company would have premises not only in Sheffield, Birmingham and Manchester but also in London, Glasgow and Gateshead, the company also now bought 200,000 shares in the Sheffield Twist Drill & Steel Co. before selling them again for a profit of £103,000. In 1976 Mr JS Allcard retired and HE McGee became sole Managing Director in addition to being Chairman, two years later JE McGee was appointed Joint Managing Director in a year, which also saw a £700,000 investment spent on erecting a new building to house additional drill production and oil recovery. But as the decade of the 1970S drew to a close all was not well. The economy was in decline and in November 1980 short time working was reintroduced for the first time since 1936. Sadly some redundancies followed. In 1982 the company changed its status from that of a public company to being a private company. By 1986 the company's overdraft facilities were extended from £1.5 million to £2.2 million and the company's Presto trade mark was registered in Germany leading to the creation in the next year of a wholly owned subsidiary Presto Werkzeuge GmbH in the Federal Republic of Germany for the sale and distribution of the company's products. Located in Haan near Dusseldorf joint managing directors of the new business would be Herr EA Stamm and JE McGee. 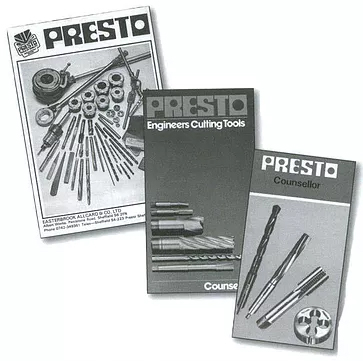 Above: A number of brochures from the late 1970’s and 1980’s, advertising the Presto brand of products. In 1989 the Presto brand was in private ownership under the Easterbrook Allcard banner in which the Allcard family still held the majority of shares. The McGee family, minority shareholders, actually ran the business, which by then had been an industry leader for many years. The firm enjoyed a high reputation for its excellent products, high level of investment and technological innovation with a strong product range and brand image. It was too good to last. J Stanley Allcard died in August 1989 and his family sold its majority shareholding. In a very hostile take-over the McGee family had to withdraw from the battle and the company was acquired by the James Wilkes Group. Now the old family firm was exposed to a series of shocking changes as assets were disposed of, staff numbers reduced and capital investment frozen. More change was to follow when James Wilkes was in turn acquired by the chemicals conglomerate Suter pIc in 1993. 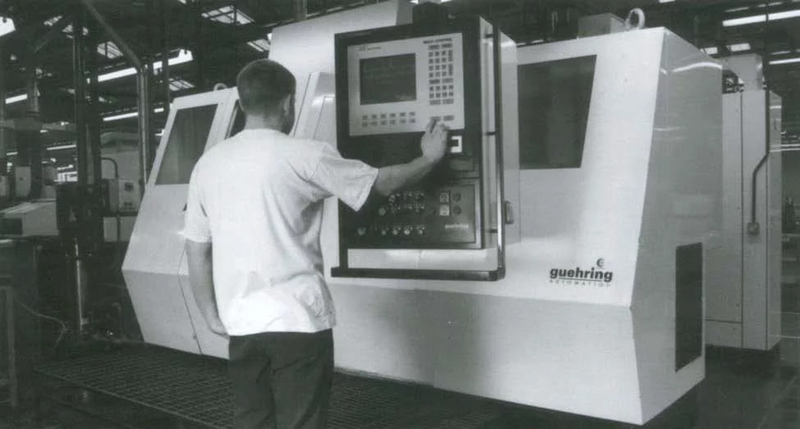 Suter set out to drive down costs even further, seeking a leaner operation and installing central controls, though happily investing some £2 million in 1994 on more CNC equipment. Above: A sample of some of the firm's current products. Suter pIc was in its turn acquired by Ascot Holdings in 1995. The new owners core business was property and leisure and they soon decided to sell off 'Presto', which was prepared for sale by even more cost cutting and reduction of the workforce. 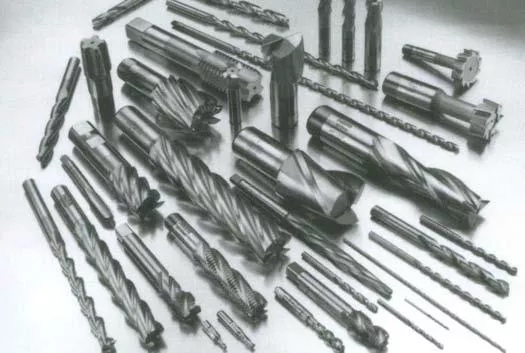 Happily, in October 1997, exactly 100 years from its incorporation, Kennametal Hertel Ltd acquired Presto Engineers Cutting Tools Ltd, new ownerswho would bring new life and prosperity to this much-respected Sheffield firm. June 2006 saw Presto return to an independent state as Suncraft international purchased the Presto brand from Kennametal. It also saw a welcome return of the famous trademarked Presto sign to Penistone road, Sheffield. By the opening years of the 21st century, with over a century and a half of history to look back upon, one of Sheffield's oldest businesses was looking forward to an equally long and prosperous future.